Welcome to Creek Mercantile! A unique collective with quality antique & vintage vendors. We feature diverse furnishings, lighting, art & home decor, collectibles and gifts. You will find a constantly changing selection of styles to enjoy decorating your home with including traditional,mid-century modern, industrial, farmhouse primitive, painted, architectural and more. 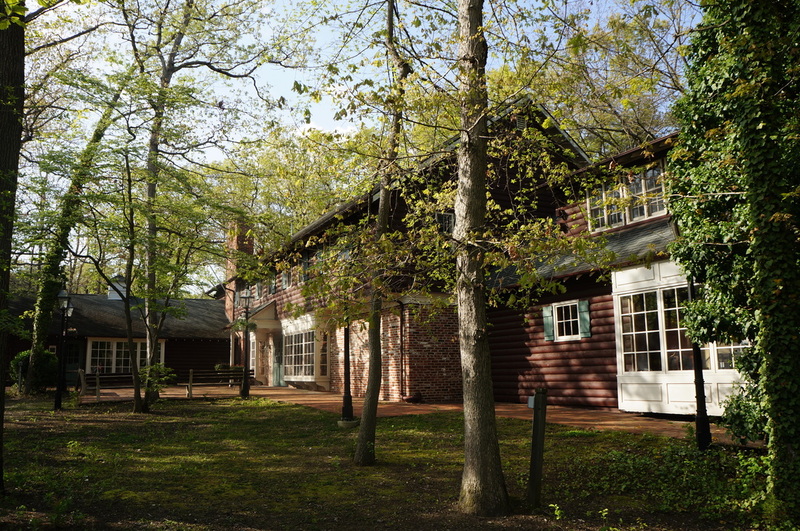 Our landmark log building is a key feature of historic Rancocas Woods, located in scenic Southern New Jersey, Burlington County. Shop and experience the charm of this unique area which is steeped in Revolutionary War history. The renowned craft/handmade and antique/vintage shows are held throughout the year, and have long been a fun family outing. The Rancocas Woods Craft Show runs the 4th Saturday of the month March through December. The Rancocas Woods Antique Shows will be held on the 2nd Sunday of the month March through December. Visit rancocaswoodsevents.com for more information. Please check the calendar of events for show dates and special happenings to plan a trip!